Custom 4 slot savings bank can be personalized to create a long lasting impact of your brand in the minds of your customers. These are handy as they are provided with removable plugs on bottom to get back the deposited money. It helps your customers to save and use the money whenever they want. The personalized 4 slot savings bank is a god option to grab the attention of your prospective customers on a trade show. The blue promotional 4 slot savings bank measures about 4 ½ “ x 4 ½”. This is CPSIA approved and hence it is safe for children. 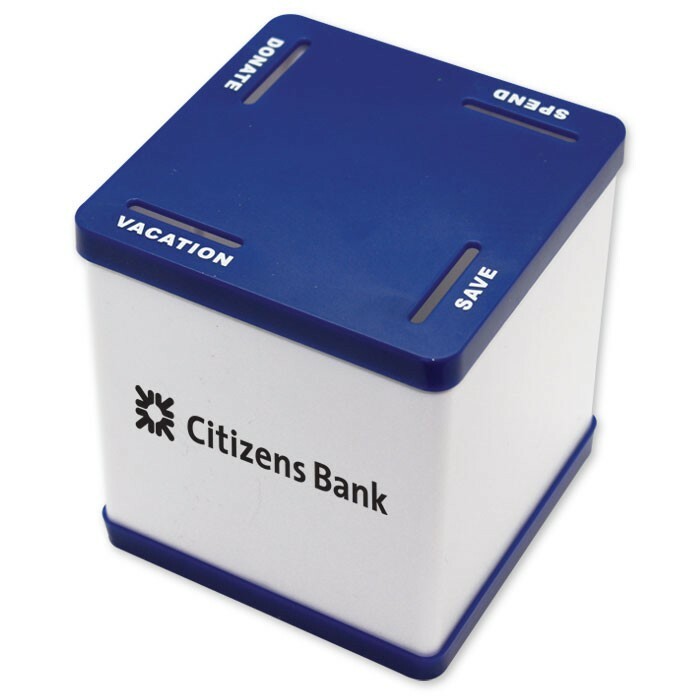 Get noticed through the promotional 4 slot savings bank. Product Size : 4 1/2" x 4 1/2"